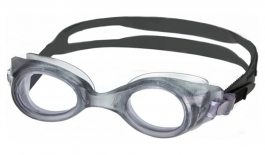 Swimming has long been considered a nightmare for those in need of prescription, with contacts getting lost or even increasing the risk of infection. 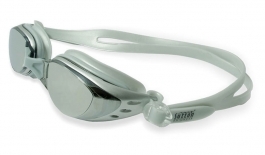 Now there are solutions to match almost every prescription, with great looking prescription swimming goggles that are impossible to distinguish from regular swimming goggles. 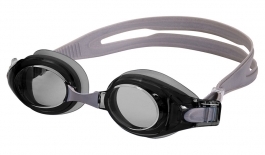 Choose ready-made, Sphere-Only Prescription Goggles for general improvement to your vision around the pool at a great price! For precise corrective vision, choose Full Prescription Goggles that are produced like a pair of glasses, offering the best possible vision. 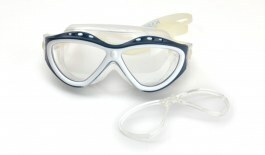 Full Prescription Goggles are essential for those with strong astigmatism as they correct the full prescription. 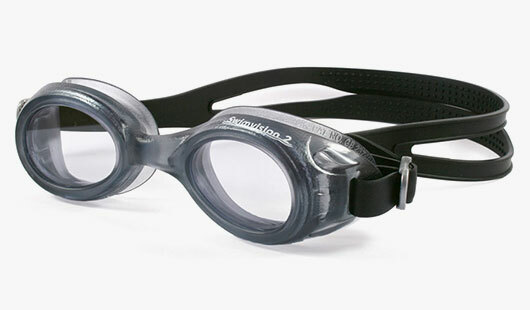 The variation in prices is primarily down to whether the prescription swimming goggles are set up with a Full Prescription, or a Sphere-Only. 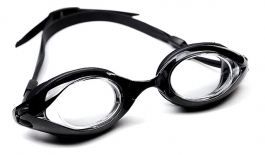 A full prescription will improve your vision to the level it is with your regular glasses; whereas the other goggles will allow you more than enough vision to swim, but maybe not enough to read comfortably or recognise a face in the distance. Key features in our range include hardcoated polycarbonate lenses, tinted lenses with complete UV protection and size options for various face shapes. 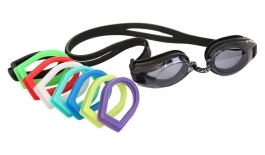 Off the shelf prescription swimming goggles are a great cost effective option for those who are just after a general improvement to their vision and aren't in need of goggles which allow them to read or make out finer details around the pool. 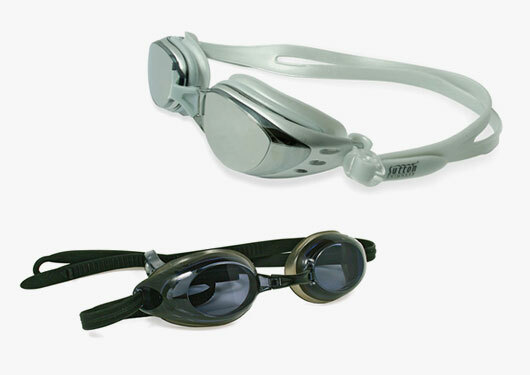 We offer two types of sphere-only goggles, ones which have the same sphere power in each eye and ones which have a different sphere power in each eye. 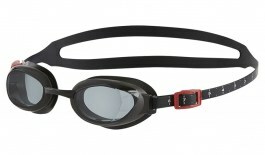 Our Aquasee and Sutton prescription goggles can only be fitted with one prescription power for both left and right eyes. 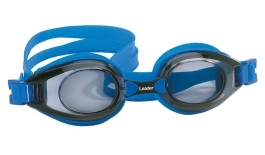 Gator and Leader swimming goggles are available with different powers in each eye, making them a better choice for those with a more complex prescription. 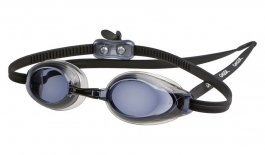 For a finely-tuned swimming eyewear experience which grants you excellent vision at all distances then full prescription goggles are perfect for you! 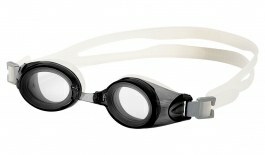 These custom-made swimming goggles are produced just like a pair of glasses, correcting your full prescription. 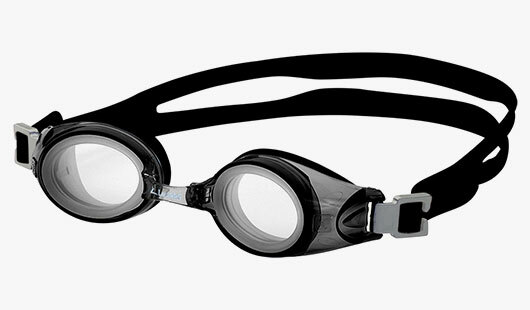 Most of our full prescription goggles are available with custom lens tints from grey to green to orange and more, making them ideal for use outdoors, especially if you are a keen open water swimmer! 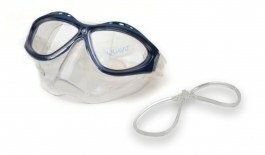 Higher prescriptions are best suited to Seavision Swimvision 2 goggle. 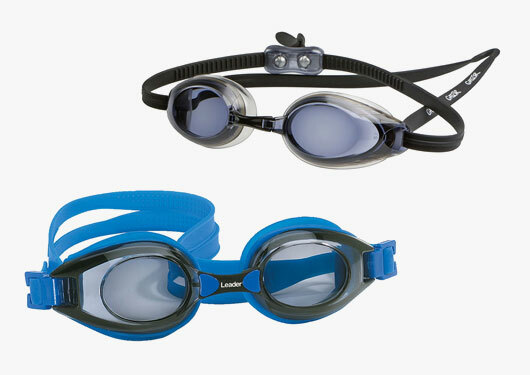 They are a moulded one-piece design with a silicone surround and fully adjustable head-strap. 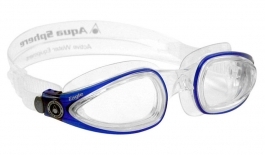 If you are after a versatile and tough pair of goggles the Leader XrX is made up with durable, lightweight polycarbonate lenses and is able to cope with a wide range of prescriptions.